"The Hotel Snow View Retreat in Almora is located in the state of Uttaranchal and offers the finest view of snow covered mountains in the entire region of Almora. Almora is situated exactly in the heart of the Kumaon ranges and is the former capital of the Katyuri rulers who reigned during the 15th Century. The Hotel Snow View Retreat in Almora offers its guests an eternal view of the grand Trishul, Nandadevi and other Himalayan peaks, rested at an elevation of 58000 ft.
Hotel Snow View Retreat of Almora is set in about six acres of verdant green hillside, snuggled with a number of cottages which are well appointed and centrally air-conditioned. 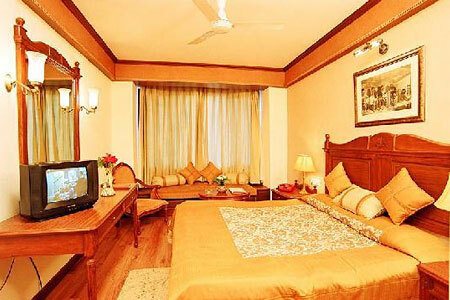 The cottages are well maintained and equipped with modern facilities and amenities. Each cottage is spacious enough, lavishly furnished and typifies a retreat of serenity and solitude. Apart from cottages that offer a splendid view of the valley, there are garden cottages and rooms equipped with modern amenities that make your stay a memorable experience. 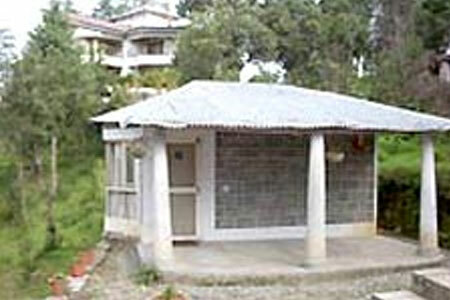 The hotel provides attached modern bathrooms and running hot and cold water in all the rooms. 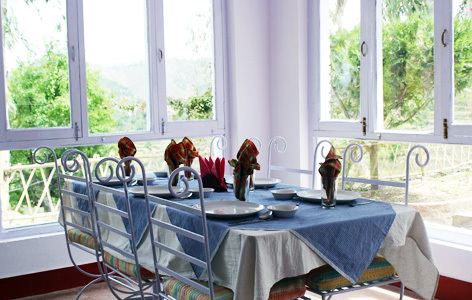 The tourists, staying in Hotel Snow View Retreat in Almora, can enjoy traditional and delectable Indian, and Almora goodies as well as local food items at the in-built multi-cuisine restaurant. The city of Almora is a pictorial district in the Kumaon region, east of Uttarakhand in India. The city offers a spectacular bird's-eye view of the Himalayas. 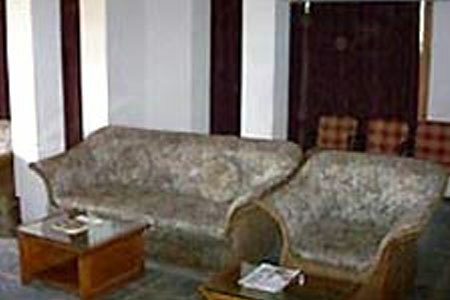 Almora is popular for its rich cultural heritage, exclusive handicrafts, extravagant cuisine and outstanding wildlife. The city is accessible quite easily from various parts of the state and the country and it assures its tourists a vacation full of fun and memorable moments.